Bumping into friends unexpectedly – happy surprises for which I’m grateful. Solidarism – a theory that the possibility of founding a social organization upon a solidarity of interests is to be found in the natural interdependence of members of a society; a belief in the sharing of aims and interests. Wairarapa cropping farmer Karen Williams made history as she took up the reins of the Federated Farmers arable section at its annual conference. The first woman to head the section, the 2017 biosecurity farmer of the year and former Ballance Farm Environment Award winner takes on the job with a bundle of enthusiasm. “I am excited about the opportunity. “For me this role gives me the opportunity to continue to work in biosecurity and engage in that space in Wellington. . .
Drones initially welcomed as great novelties are now fixtures as business tools and on farms they can have multiple uses. Richard Rennie talked to farmers who have used them and found a new drone firm setting up shop here as their use becomes more widely accepted. IN THE heady early days of drone deployment many promises were made about how they would revolutionise some of the grinding daily farm jobs, often all from the comfort of the farm kitchen table. A few years on they have proved to be more than a flash in the pan. For some farmers they are now an established tool but still as dependent on the technology they take into the sky as the inventiveness of farmers using them. . .
ANZCO’s lacklustre result for 2017, posted last month, concludes the financial reporting for last year by the three major processors which publish their results. ANZCO’s pre-tax profit was $1.8 million which compares disappointingly with Alliance Group’s $16.7 million profit and Silver Fern Farms Cooperative’s 15 month profit of $7.8 million. None of the three companies achieved a particularly good return on their investment in the business, but both Alliance and SFF showed improvement on the previous year which was in each case the result of substantial changes in the business structure and balance sheet. The $261 million investment by Shanghai Maling in acquiring 50% of SFF had an immediately positive impact on the company’s balance sheet strength and interest bill. During its year to September Alliance was able to reduce debt and make increased investment in plant upgrades at the same time. . .
(BusinessDesk) – Danone plans to increase its investment in New Zealand infant formula manufacturing by acquiring up to 49 percent of Yashili New Zealand Dairy Co, the local unit of China Mengniu Dairy, according to a filing in Hong Kong. Terms of the transaction haven’t been finalised, including the price and method of payment, Yashili International said in a statement to the Hong Kong stock exchange. “The consideration, the payment method and the payment schedule shall be determined after arm’s length negotiations and mutual agreement between the parties,” it said in a statement to the Hong Kong stock exchange. . . Experienced Dunedin marketer Sharon Angus has joined the board of New Zealand Young Farmers as an appointed director. Ms Angus (54), who is former general manager of marketing at Silver Fern Farms, has extensive experience with food brands. The marketing consultant was excited about joining the board as she felt New Zealand Young Farmers “represents the future”. . .
Today, Horticulture New Zealand signed a Government Industry Agreement (GIA) for Biosecurity Readiness and Response on behalf of Process Vegetables New Zealand (PVNZ). PVNZ chair David Hadfield says robust biosecurity should be seen as an investment for growers. “Committing to the GIA enables us to have closer, more informed interactions with the Ministry for Primary Industries (MPI) and other GIA industry partners around biosecurity. This includes planning for potential incursions and taking a leading role in collective biosecurity management where it impacts our members,” Hadfield says. . .
How Fonterra is helping keep Gore’s newest residents warm and cosy this winter. It’s a rainy Wednesday afternoon in Gore and Lois Shallard’s knitting needles are working over-time. Beside her on the table is a pile of tiny knitted baby socks, singlets and hats and at her feet are balls of wool – hot pink, lime green, lavender and a “lovely mottled blue”. Lois is 70 this year and she’s been knitting since her teens. She knitted clothes for all her children back in the day and now she’s moved on to knitting for her town’s new mums. “I love knitting the little socks the best, they are just so tiny and cute.” . . Farmers are fighting back against the anti-farmer, anti farming rhetoric. In the past generation we’ve planted 14 football pitches of trees and woodland, we’ve sown 30 football pitches of pollen & nectar mix for butterflies and bees (a RIOT of colour from April to November), we provide 10 football pitches of mixed seed crops to help overwintering birds get through the ‘hungry gap’ at the end of winter, we’ve restored and maintained 20 ponds and we regularly see snipe across the farm, but especially on our managed wetlands. We’ve seen marked increases in brown hare, skylark, red kites, buzzards, sparrow hawk, hobby, and three species of owl make use of our specialised owl boxes. We have seen earthworm populations increase significantly, and we have managed grassland for rare orchids. Our low-input grazing system mimics the movement of wild herds and we have seen five species of deer increasing across the farm. Our crowning glory in my opinion is the reappearance of the stunning kingfisher, however the prevalence of grey partridges or lapwings or any number of redlist species divides opinion as to the title of greatest success story, and a recent visit from an insect expert revealed a rich insect fauna. We’ve also grown food for 65 million left wing, right wing, centrists, nazis, and communists, for vegetarians, flexitarians, vegans, and omnivores, for black and white, rich and poor, for women and for those who identify as women, for man and beast, for princes and paupers, for criminals, creatives, and crazies, for townies and bumpkins, for slave and free, for erudite and for those who don’t even know what that means, for immigrants, supremacists, for asylum-seekers, for liberals, free thinkers, and for those who read the Daily Mail, the Guardian, the Telegraph, and for those who can’t read. Not bad for a little patch of England eh? Farmers; keeping you alive since history began, and stewarding our land since conservation was an elaborate way of preserving fruit for application to buttered toast. Mark Warren was just 24 years old, with a ticket to London and The Big OE in his pocket, when he got the call to take over the old family station in the steep hill country at Waipari in the Hawkes Bay. “My father said, ‘Oi! The manager’s gone. All the staff are gone. You’re going to have to take over…Make it snappy.’ That was that. I went away for two weeks and came home…to face the music”. . . The emotional impact on farmers with animals affected by Mycoplasma bovis may have the unintended side effect of changing the public’s perception of farming. Rural Raconteur Jim Hopkins spoke to The Country’s Jamie Mackay saying urban New Zealand will be viewing farmers with much more empathy and sympathy as a result of M. bovis. Hopkins’ speech was so impassioned and succinct we thought we’d let him do the talking to end today’s show. “This occurred to me a week or two back when I was listening to you [Mackay] talking to a cocky in South Canterbury who wept on air … I’ve seen farmers on television in the same awfully stressed situation and you feel their pain. But the thing that did occur to me was, this is the first time for two years, that I have seen the other side of farming. For two years or more, a gullible brainwashed urban media that sort of picks up all the green garbage and feeds it into its audience … has presented farmers as heartless calf-killers and creek polluters … suddenly we see people who are genuinely grief-stricken at the loss of animals, not as economic units but as members of the family, as part of their lives, as individuals. It occurred to me when I saw that and heard it, I thought – suddenly, an urban audience is seeing farming and farmers in a new and vulnerable and emotional and caring and compassionate light and that’s got to be, long term, a good thing. You can hear Jim full speech by clicking on the link above. The disease is a very high price to pay for an improved perception, and it will be cold comfort for those directly affected, but good can come from bad. Facts are like cows. If you look them in the face long enough, they generally run away. ― Dorothy L. Sayers who was born on this day in 1893. 823 Charles the Bald , Holy Roman Emperor and King of the West Franks,was born (d. 877). 1249 – Coronation of Alexander III as King of Scots. 1373 – Anglo-Portuguese Alliance between England (succeeded by the United Kingdom) and Portugal – the oldest alliance in the world which is still in force. 1525 Martin Luther married Katharina von Bora, against the celibacy rule decreed by the Roman Catholic Church for priests and nuns. 1584 Miyamoto Musashi, Legendary Samurai warrior, artist, and author ofThe Book of Five Rings, was born (d. 1645). 1625 King Charles I married French princess Henrietta Maria de Bourbon. 1752 Fanny Burney, English novelist and diarist, was born (d. 1840). 1774 Rhode Island became the first of Britain’s North American colonies to ban the importation of slaves. 1777 American Revolutionary War: Marquis de Lafayette landed near Charleston, South Carolina, in order to help the Continental Congress to train its army. 1798 Mission San Luis Rey de Francia was founded. 1805 Lewis and Clark Expedition: scouting ahead of the expedition,Meriwether Lewis and four companions sighted the Great Falls of the Missouri River. 1863 Lady Lucy Duff Gordon, English fashion designer, was born (d. 1935). 1866 The Burgess Gang murdered five men on the Maungatapu track, south-east of Nelson. 1881 The USS Jeannette was crushed in an Arctic Ocean ice pack. 1883 Henry George Lamond, Australian farmer and author was born (d. 1969). 1886 A fire devastated much of Vancouver. 1886 – King Ludwig II of Bavaria was found dead in Lake Starnberg south of Munich. 1893 Dorothy L. Sayers, English author, was born (d. 1957). 1893 Grover Cleveland underwent secret, successful surgery to remove a large, cancerous portion of his jaw; the operation wasn’t revealed to the public until 1917, nine years after the president’s death. 1898 Yukon Territory was formed, with Dawson chosen as its capital. 1910 Mary Whitehouse, British campaigner, was born (d. 2001). 1910 The University of the Philippines College of Engineering was established. 1917 World War I: the deadliest German air raid on London during World War I was carried out by Gotha G bombers and resulted in 162 deaths, including 46 children, and 432 injuries. 1927 Aviator Charles Lindbergh received a ticker-tape parade down 5th Avenue in New York. 1934 Adolf Hitler and Mussolini met in Venice. 1942 The United States opened its Office of War Information. 1942 The United States established the Office of Strategic Services. 1944 Ban Ki-Moon, South Korean United Nations Secretary-General, was born. 1944 World War II: Germany launched a counter attack on Carentan. 1944 – World War II: Germany launched a V1 Flying Bomb attack on England. Only four of the eleven bombs actually hit their targets. 1949 Dennis Locorriere, American singer and guitarist (Dr. Hook & The Medicine Show), was born. 1952 Catalina affair: a Swedish Douglas DC-3 was shot down by a Soviet MiG-15 fighter. 1953 Tim Allen, American comedian and actor, was born. 1955 Mir Mine, the first diamond mine in the USSR, was discovered. 1966 The United States Supreme Court ruled in Miranda v. Arizona that the police must inform suspects of their rights before questioning them. 1967 U.S. President Lyndon B. Johnson nominated Solicitor-GeneralThurgood Marshall to become the first black justice on the U.S. Supreme Court. 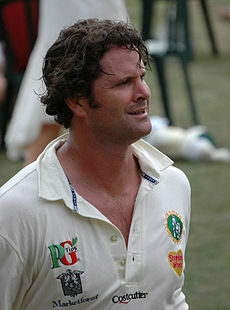 1970 Chris Cairns, New Zealand cricketer, was born. 1970 ”The Long and Winding Road” became the Beatles’ last Number 1 song. 1971 Vietnam War: The New York Times began publication of thePentagon Papers. 1978 Israeli Defense Forces withdrew from Lebanon. 1981 At the Trooping the Colour ceremony a teenager, Marcus Sarjeant, fired six blank shots at Queen Elizabeth II. 1982 Fahd became King of Saudi Arabia on the death of his brother,Khalid. 1983 – Pioneer 10 became the first man-made object to leave the solar system. 1994 A jury in Anchorage blamed recklessness by Exxon and CaptainJoseph Hazelwood for the Exxon Valdez disaster, allowing victims of the oil spill to seek $15 billion in damages. 1995 French president Jacques Chirac announced the resumption of nuclear tests in French Polynesia. 1996 The Montana Freemen surrendered after an 81-day standoff with FBI agents. 1997 Uphaar cinema fire, in New Delhi, killed 59 people, and over 100 people injured. 1997 American fugitive Ira Einhorn was arrested in France for the murder of Holly Maddux after 16 years on the run. 2000 President Kim Dae Jung of South Korea met Kim Jong-il, leader of North Korea, for the beginning of the first ever inter-Korea summit. 2000 Italy pardoned Mehmet Ali Agca, the Turkish gunman who tried to kill Pope John Paul II in 1981. 2002 The United States of America withdrew from the Anti-Ballistic Missile Treaty. 2005 A jury in Santa Maria, California acquitted pop singer Michael Jackson of molesting 13-year-old Gavin Arvizo at his Neverland Ranch. 2007 The Al Askari Mosque was bombed for a third time. 2010 – A capsule of the Japanese spacecraft Hayabusa, containing particles of the asteroid 25143 Itokawa, returned to Earth. 2012 – A series of bombings across Iraq, including Baghdad, Hillah and Kirkuk, killed at least 93 people and wounds over 300 others. 2013 – Czech investigative authorities started a raid against organized crime, affecting the top levels of Czech politics. 2015 – The Wedding of Prince Carl Philip, Duke of Värmland, and Sofia Hellqvist took place in Stockholm, Sweden. 2015 – A man opened fire at policemen outside the police headquarters in the Texas city of Dallas, while a bag containing a pipe bomb was also found. He was later shot dead by police. You are currently browsing the Homepaddock blog archives for the day Wednesday, June 13th, 2018.